Let’s start with the foundation…the signature cocktail. When you go out for dinner, do you order the old standby or do you live on the edge and ask for the drink menu? I’m always down for the adventure. Once I find a concoction I love, that restaurant becomes a destination. It’s the only place I can get that cocktail. It’s for this exact reason that I adopted the signature cocktail at home. I tend to change it up seasonally, but when guests arrive, they know they’re in for a special treat. 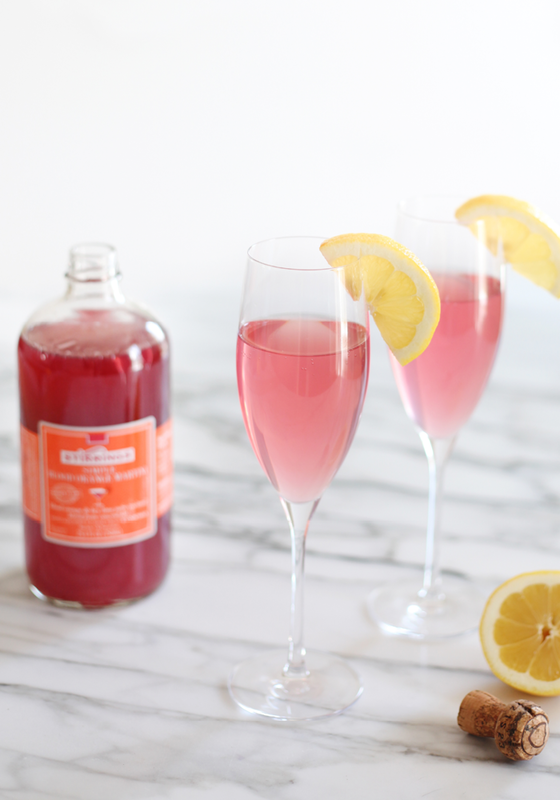 During the winter months, I was serving up a delicious Blood Orange Old Fashioned, but this week I’m channeling spring by stocking up on champagne to mix up a boozy twist on the French 75. It’s especially light and fresh when made with Stirrings mixers that are lower in sugar and made with real juice, cane sugar and no artificial preservatives. 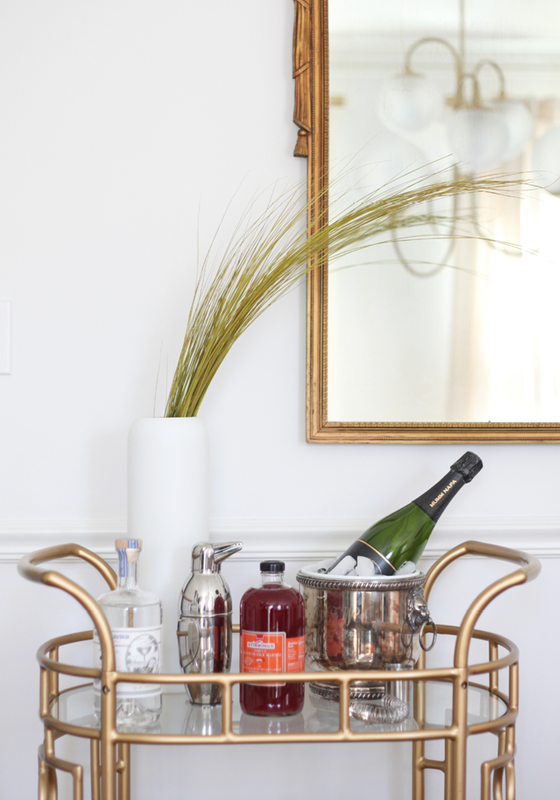 Step 1 — Clear The Bar Cart. 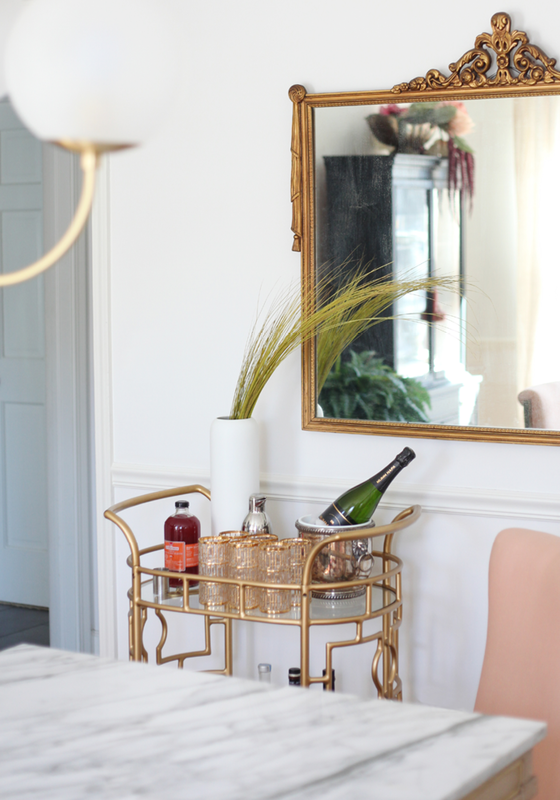 Since my Stirring mixers and ingredients need refrigeration, and I don’t always have champagne on ice…although come to think of it, that my friends might be the idea of the day…my bar cart looks very different on party day compared to normal days. 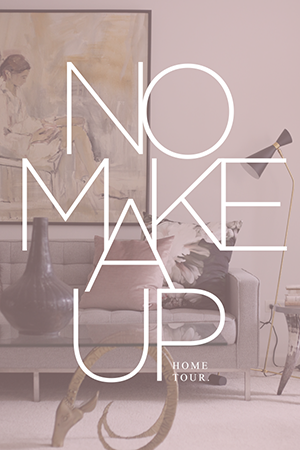 It’s time to clear off the books, bust and other decor items. Step 2 — Add Core Ingredients. Not sure about you, but I’ve got a fully stocked bar. However, in no way shape or form does that mean every bottle should be displayed. No siree! I only pull out what I absolutely know my guests and I will drink. Yes, there might be the one person who says, “Hey Kyla, can you make me a Tequila Sunrise?”, but I’m not leaving that option on the bar. Only display the boozy bottles and mixers needed to make your special tasty summin’ summin’. 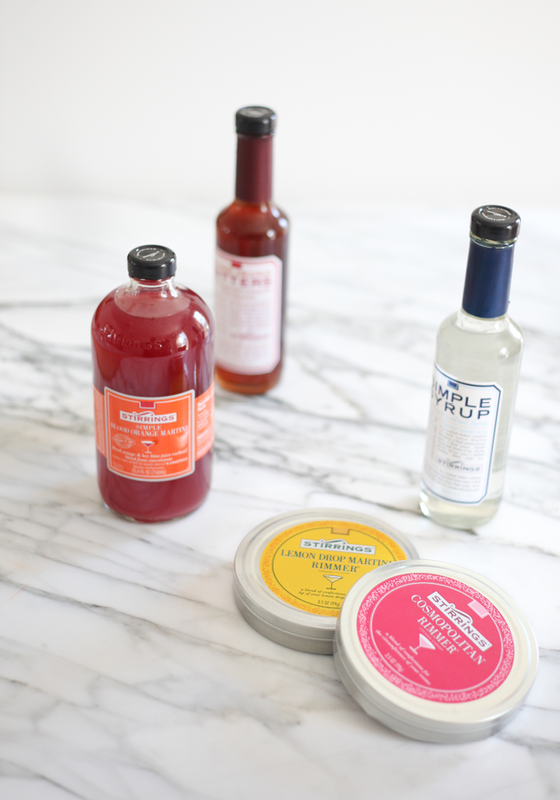 I personally love the Stirrings Blood Orange Martini Mix and Stirrings Cosmopolitan Mix, and one can never have enough Stirrings Simple Syrup. I use it all the time. For bottles, vodka, gin, rum, and bourbon is what my guests normally drink. I also like to display a couple of rimmers for garnish. It’s those little extra details that will take your cocktail to the next level. Step 3 — Get Your Tools. Mixing a good cocktail requires a few necessary bar tools. First the shaker. Not only does it improve the taste of your cocktail by fully integrating all the ingredients, but it also adds the perfect amount of water when shaken with ice. When I first met The Boy, he bought me the fun penguin shaker. 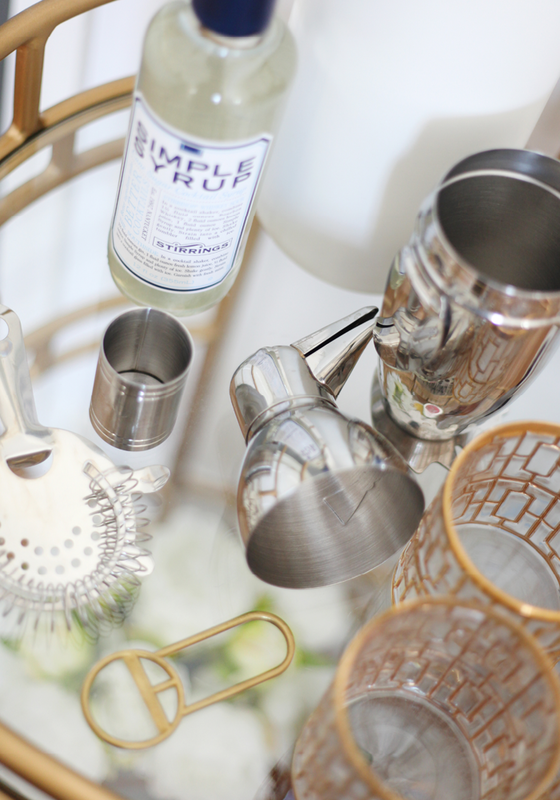 It’s a great conversation starter, plus the chrome adds a little extra sparkle to your bar cart. Don’t forget the shot glass, strainer, and bottle opener. Step 4 — Add Glassware. I’m sure it doesn’t come as any surprise when I say I loves me some vintage cocktail glasses. So before guests arrive, I like to choose a funky set of glassware…to set the night apart from a normal evening. Today I picked out my latest estate sale find. The 24k gold detailing and fretwork are spectacular. I also used the matching decanter to jazz up the bourbon. Step 5 — Add An Interesting Object. 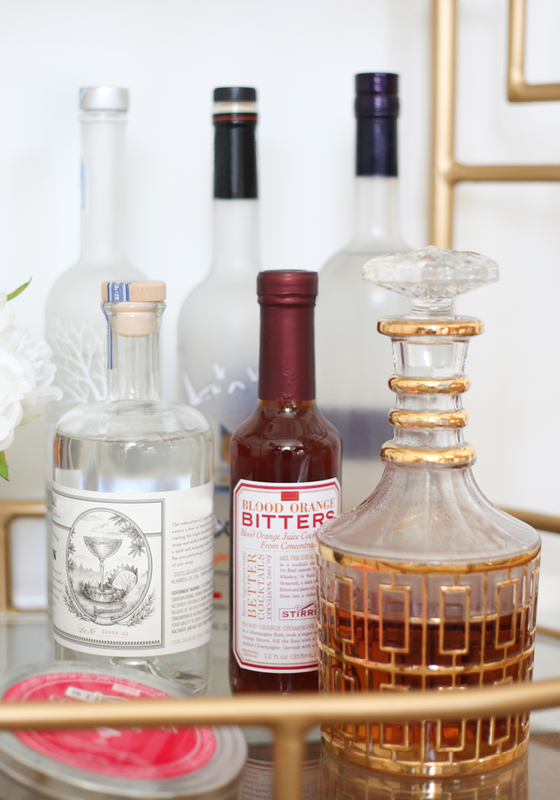 By this time your bar cart is getting fairly full, so it’s time to get crafty with space. My ice bucket chilling the champagne is an old trophy I picked up at a local vintage shop. The lion head rings on either side add a sculptural element and if you look really close, you can see the engraving of the original owner’s initials. To soften the lower shelf, I added a bouquet of white peonies. It distracts the eye from all the bottles. Lastly, to add a bit of height to the bar cart, I added a tall white vase with dehydrated grass. It brings the eye up and keeps the flow from left to right. Voila! 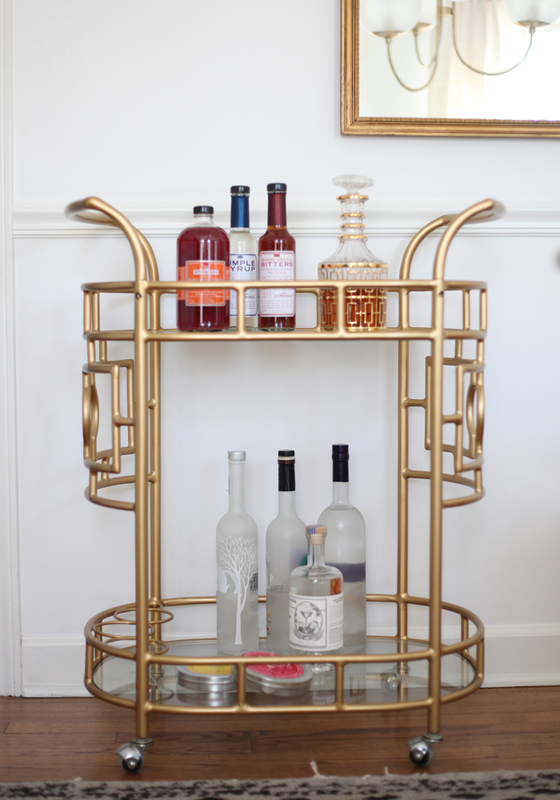 You have yourself a bonkers good bar cart! 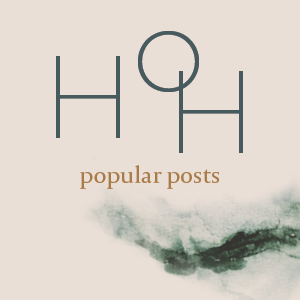 But let’s say you aren’t hosting…looking for the perfect hostess gift? Well, I gotcha. 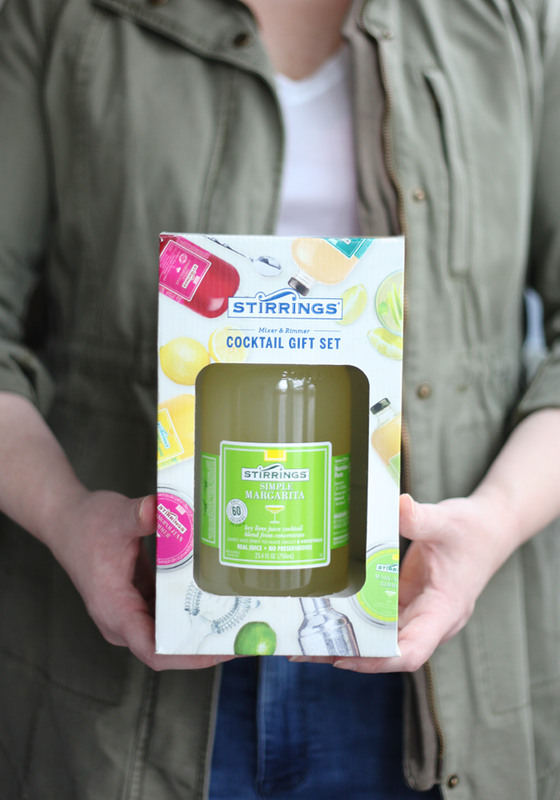 The Stirrings Cocktail Gift Set is the perfect something special to bring to your next party. It’s fun, festive, and totally delish. There you have it folks. Easy peasy, am I right? Now go grab some mixers…I’ve got my eye on that Stirrings Peach Bellini Mix…invite some friends over for happy hour and get toasting! Chin-chin! 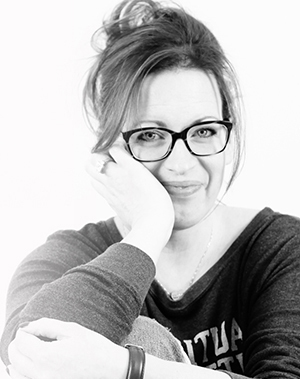 I’m saving that French 75 recipe for later, sounds so refreshing and delicious! 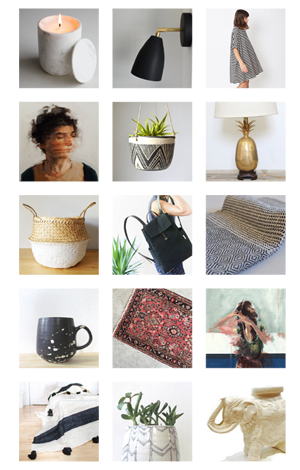 Their products are beautiful. 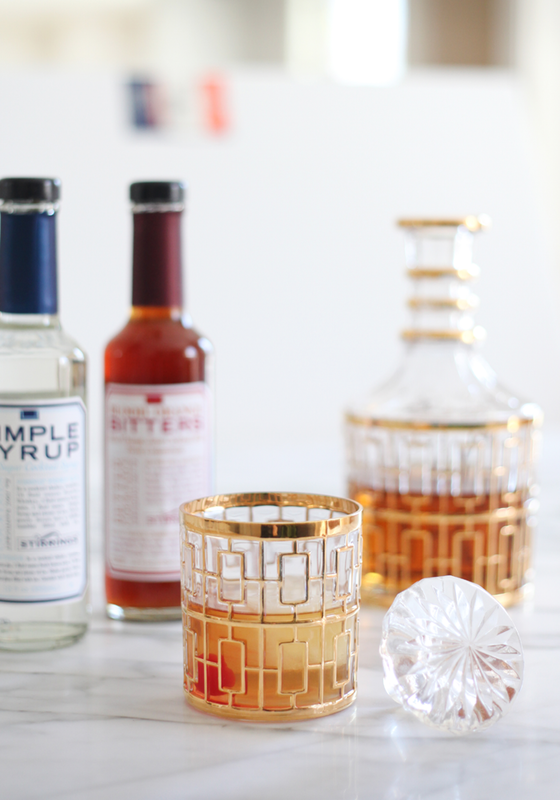 Love the pairing of the vintage barware with the bright look of the drink products. Yummmm it all looks delish! I can’t wait to get a bar cart to style it. 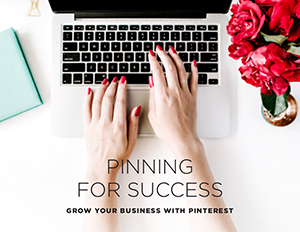 Great tips!!! Finally have room for one! Yay! 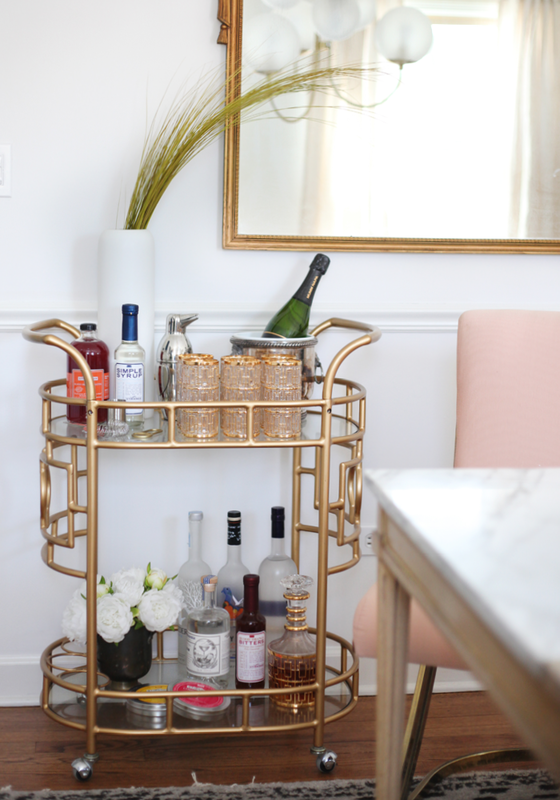 I never realized how much I’d actually use a bar cart! You had me at peach Bellini! Love your cocktail glasses! And Everything is styled fabulously! 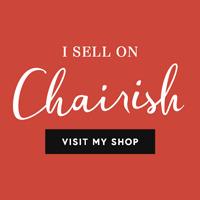 Where did you get that fabulous bar cart?